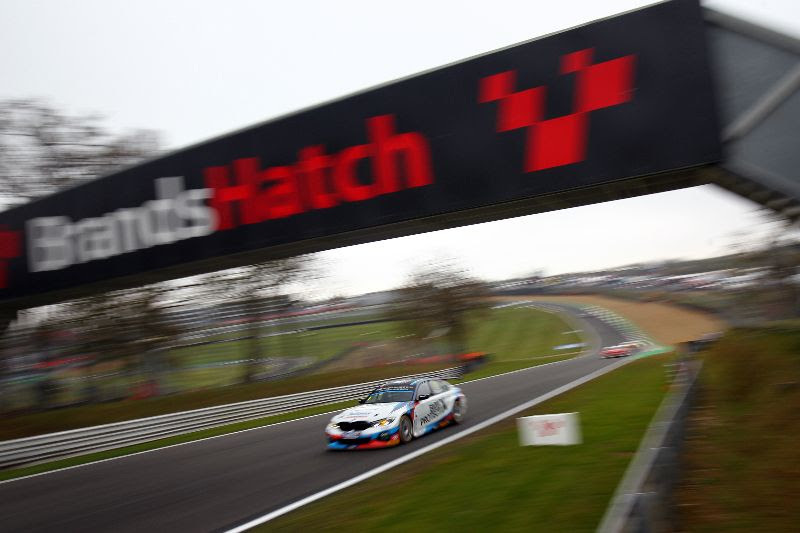 Team BMW came away from Brands Hatch hugely encouraged by the qualifying performance of its new BMW 330i M Sport, which is making its debut in the British Touring Car Championship this weekend. 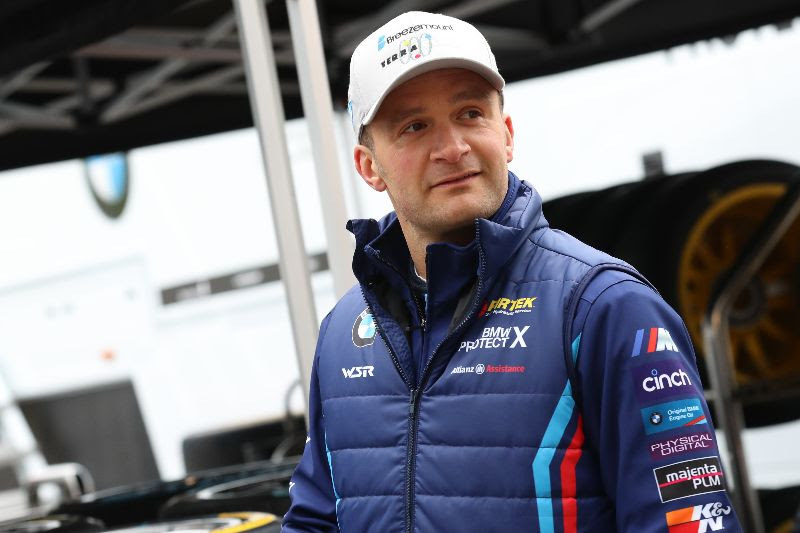 Reigning champion Colin Turkington will start Race One from third place after dialling his way into a wet qualifying session that offered the three-time BTCC title-winner his first opportunity to drive the new car on Dunlop’s wet tyres. 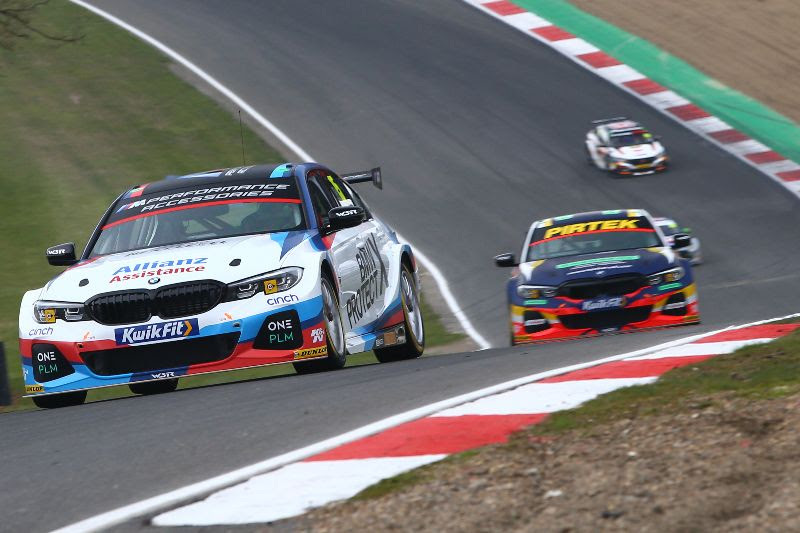 Having used each run both as an opportunity to improve and to learn about the behaviour of the WSR designed-and-built BMW 330i M Sport in tricky conditions, Colin dug into deep reserves of experience and guile to pull out a lap good enough for third on his final attempt. 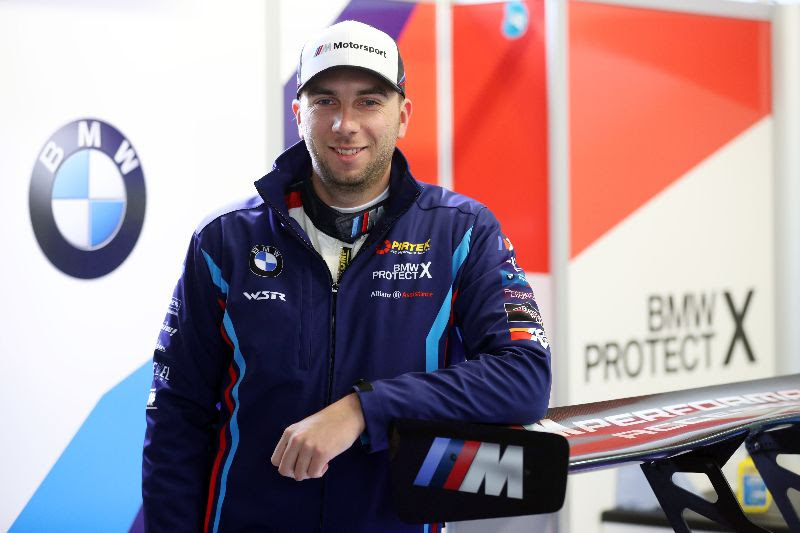 For much of the session it was Tom Oliphant, Colin’s new stablemate at Team BMW – the reigning Teams’ and Manufacturers’ Champions – who led the pack. But having set a rapid time early on to go top of the times, a sequence of red flags flew at the wrong times for Tom, which prevented him from improving further as Colin and others moved ahead late on. Eventually Tom dropped to fifth, which still represented his best qualifying performance on only his second season in the BTCC. Main: Colin Turkington, Team BMW BMW 330i M Sport, BTCC, Brands Hatch UK; Below main text (top down): 1 Colin Turkington, Team BMW BMW 330i M Sport, BTCC, Brands Hatch UK; 2 Tom Oliphant, Team BMW BMW 330i M Sport, BTCC, Brands Hatch UK; 3 Tom Oliphant, Team BMW BMW 330i M Sport, BTCC, Brands Hatch UK. Please credit Jakob Ebrey/BMW where used. BMW Group UK is the sales, marketing and aftersales subsidiary of BMW AG. Headquartered in Farnborough, Hampshire, BMW Group UK is responsible for importing BMW vehicles into the UK and supplying them for sale through its independent Retailer network. BMW Group UK also has responsibility for all national marketing, advertising and aftersales activities for the BMW and MINI brands. Established in 1980, BMW Group UK currently employs around 500 associates.